Valentine Tees Just $15.99! Down From $29! Shipped! You are here: Home / Great Deals / Valentine Tees Just $15.99! Down From $29! Shipped! For a limited time only! 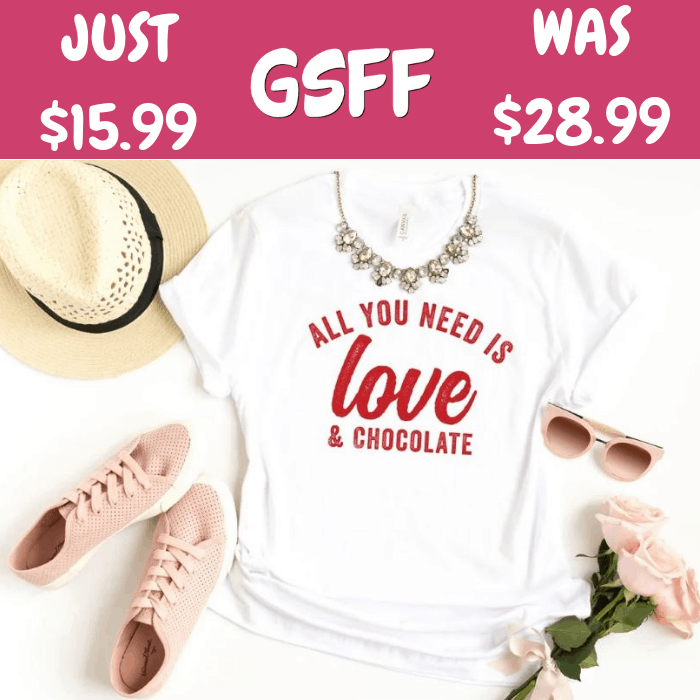 Head over to Jane to score these Valentines Tees for just $15.99 down from $28.99 PLUS FREE shipping! Just keepin’ Valentine’s Day simple with these tees that say it all!